Create a place to learn where all children thrive. Are your children busy learning or are they simply busy? Interactive & thought provoking ideas that challenge and inspire. 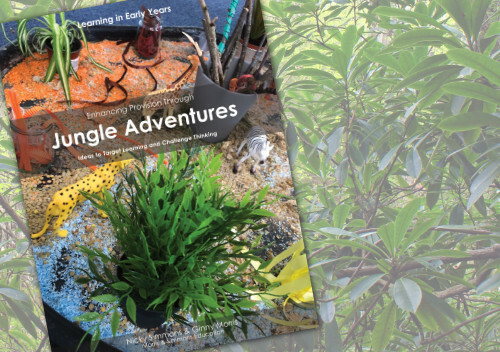 This book provides a selection of open-ended challenges that can be flexibly used as part of continuous provision; designed to be delivered both indoors and out. 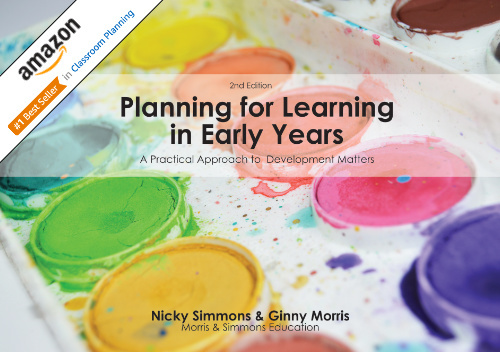 Written to help you recognise and clearly identify the learning steps within and across each band of Development Matters. Use this book to pinpoint next steps in learning, close the gaps and accelerate progress. Our workshops cover a wide variety of popular Early Years themes. They are full of easy to use, practical ideas and solutions to support you in your everyday practice. Great value for money they can also be delivered as a bespoke package to whole teams and cluster groups. at all times. Some great insight given. you were talking about and you have inspired me. Really fast to learn from real EYFS practitioners! Super training, thought provoking by wonderful ladies. Really brilliant! Truly inspirational ideas can’t wait to use them. Fantastic! Gave me lots to think about and take away with me. I could have stayed longer to just listen to you both! enjoyable training built on experience and knowledge. so much and look forward to putting it into practice. Outstanding! A pleasure to have been here. Loads of ideas to take away.